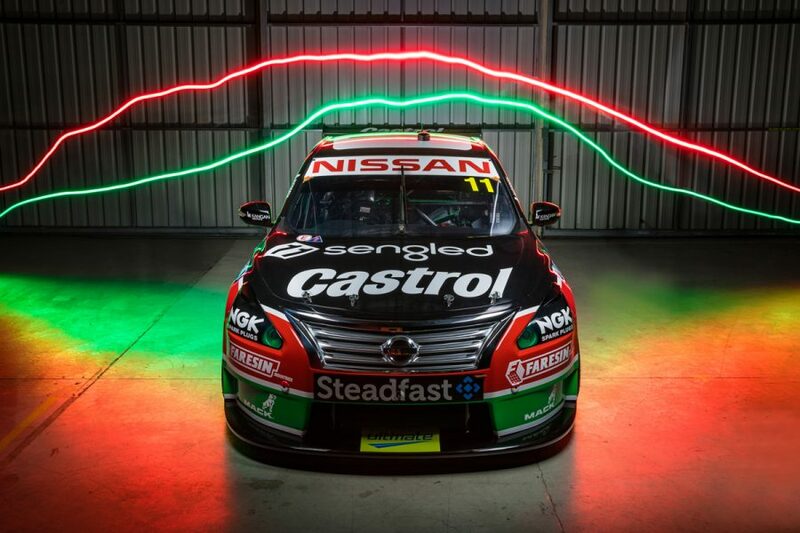 Nissan Motorsport will pay tribute to the 25th anniversary of a famous Larry Perkins victory at next weekend’s Supercheap Auto Bathurst 1000. 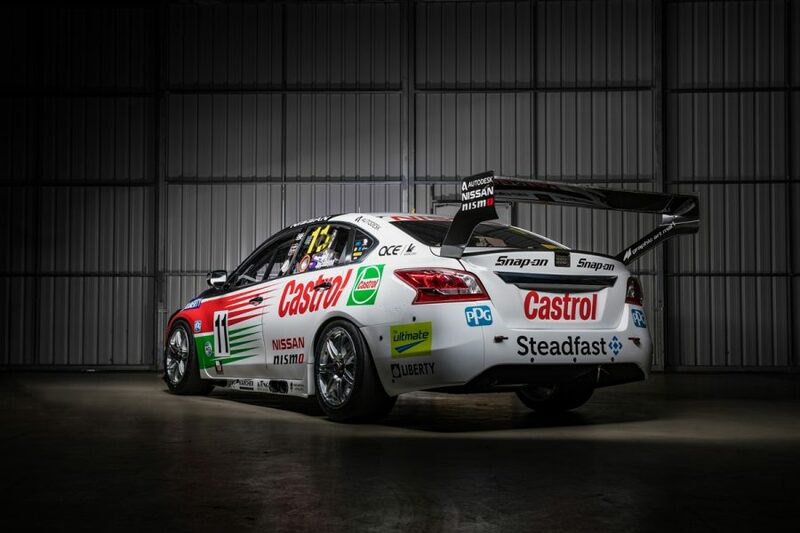 The Melbourne-based squad is fielding its Rick Kelly/Garry Jacobson Altima in the Castrol scheme that Perkins and co-driver Gregg Hansford used to win Bathurst in 1993. It has also changed the car’s number from #15 to Perkins’ famous #11, which has been unused in the championship in recent years. The 1993 race was Perkins’ fourth of six Bathurst wins and the first to take place with his own Perkins Engineering outfit. He won the race carrying the ‘sawtooth’ Castrol colours again in 1995 and ’97 – teaming with Russell Ingall on those occasions following Hansford’s death in early ’95. 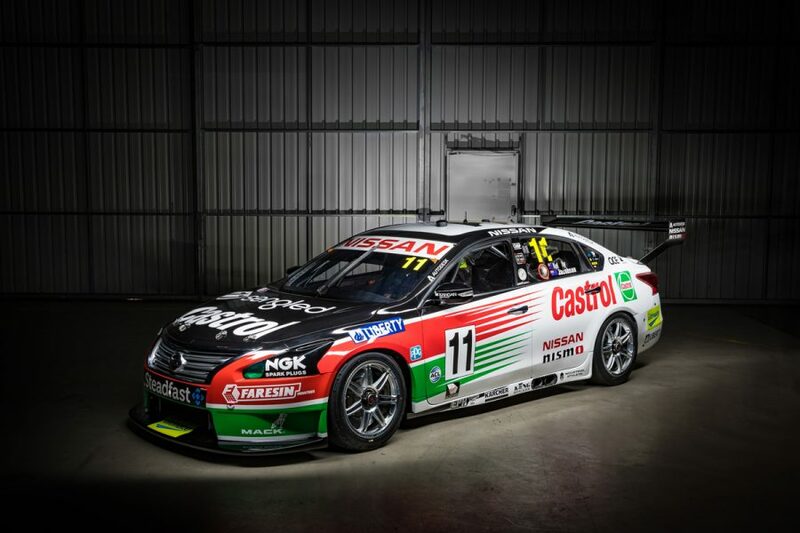 It is the second time in two events that Nissan Motorsport has adopted a livery from a Perkins Holden, having run the 2002 colours at Sandown. The Nissan team was borne out of Perkins Engineering – the Kelly family buying Perkins' squad at the end of 2008, before switching from Commodores to Altimas four years later. Although not its main base, Perkins’ old Moorabbin workshop continues to be used by the Kellys for engine dyno work. Perkins’ 1993 win was most famous for his choice of engine, having stuck with the Holden V8 over the newer Chevrolet in the first year of the 5.0 litre formula. 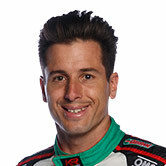 “Larry is a real legend of our sport and a lot of his most famous moments were at Bathurst,” said Rick Kelly. “To win three times in five years is a remarkable performance. 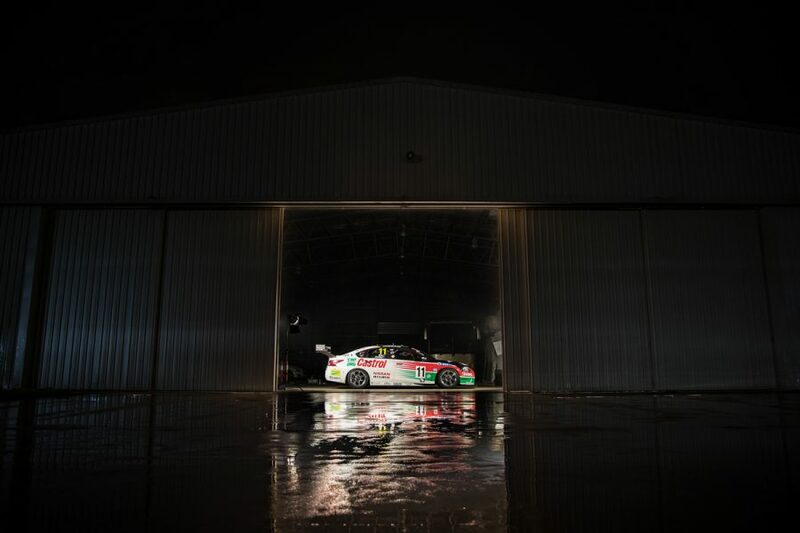 Perkins recently visited the Moorabbin workshop for a photoshoot and a video interview that will be available on Supercars.com later today. “It was a special moment to have Larry walk in to his old workshop to see the car,” continued Kelly. “I grew up watching Larry race and this is without doubt one of the key highlights of my career, sharing this moment with him. 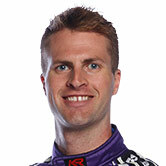 Kelly is a two-time Bathurst winner, having tasted success early in his career alongside Greg Murphy in 2003 and ’04. 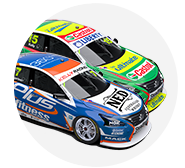 Although not finishing higher than eighth since Kelly Racing began in 2009, improved form from the Nissans this year means Kelly and Jacobson head to Bathurst as a genuine dark horse. 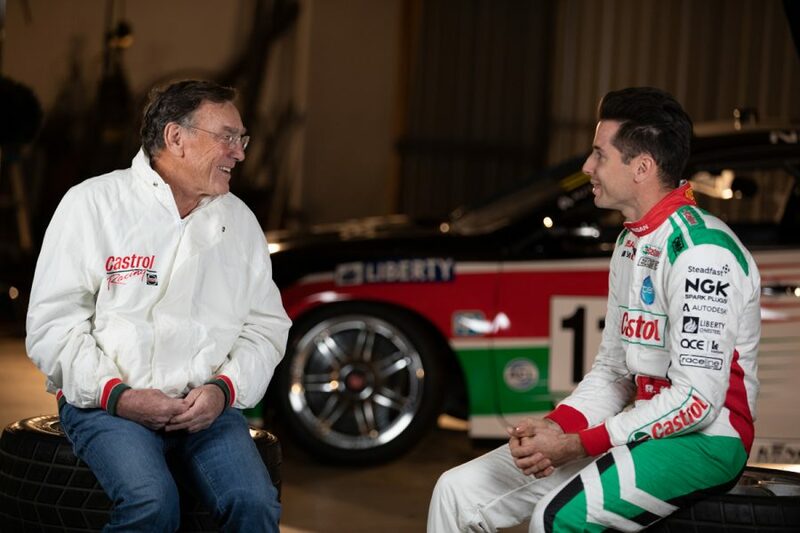 They took Perkins’ 2002 livery to eighth at Sandown and Kelly hopes to do the Supercars Hall of Famer proud at Mount Panorama. “There’s no added pressure racing in this sort of car, I mean, the event itself applies more than enough pressure as it is,” he said. 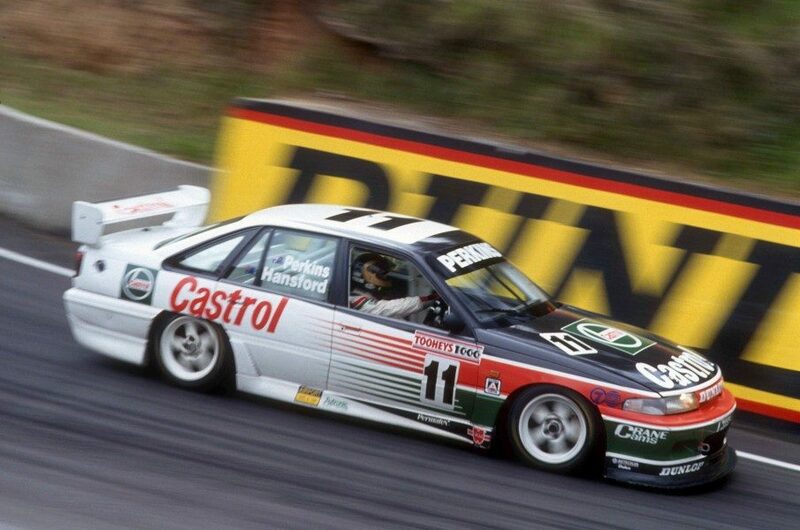 The 1993 winning Commodore is owned by Perkins, who is working with son Jack – who will drive at Bathurst for Walkinshaw Andretti United – on its current restoration.